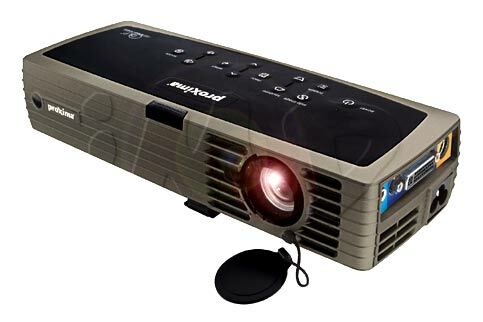 When it’s time to replace ASK DP-1200X projector lamp you’ll notice the LED on the top of the projector will start blinking red. When there is only 50 hours of lamp life remaining you’ll also see a “Change Lamp” message appear on screen. The message will continue to appear on screen until the ASK Proxima SP-LAMP-013 lamp has been changed. You can also track the lamp hours used by checking the ABOUT menu option on the MAIN menu. Avoid the temptation to pick up a cheaper generic “compatible” lamp. These lamps have not been properly calibrated and can damage the sensitive mechanisms in your projector. Their inferior parts and poor workmanship give you poor illumination, a shorter lamp life and are prone to explosions. You also run the risk of being exposed to the toxic materials used as substitute, including Krypton 85, that is dangerous to your health. 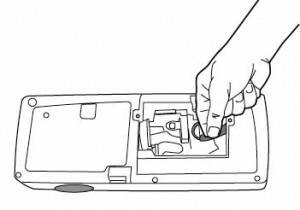 Installing a “compatible” lamp also voids your warranty and you run the risk of not coverage should your projector be damaged. Protect the life of your ASK DP-1200X projector as well as your own. Buy authentic. Read more about spotting counterfeit lamps. 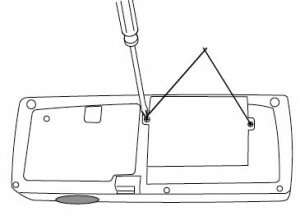 Before installation: Make sure the ASK Proxima DP-1200X projector is turned off and the power cable disconnected. The projector should be cool to the touch before you open anything. The ASK Proxima DP-1200X projector operates under high heat and you can suffer serious burns if you don’t allow it to cool down properly. Turn the projector upside down. Loosen the two screws on the lamp door. Using the tip of the screwdriver, pry the door open straight up. 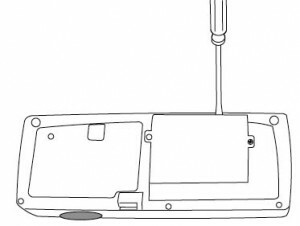 This will disengage the power interrupt connection located on the underside of the door. Be sure to pry the door straight up and not at an angle as this can damage the power interrupt connector. 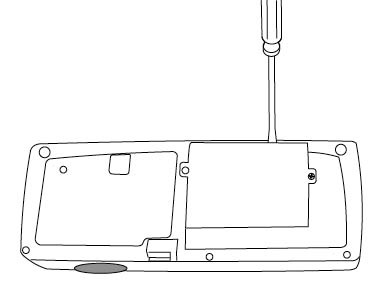 The projector will not turn on when the lamp door is removed. 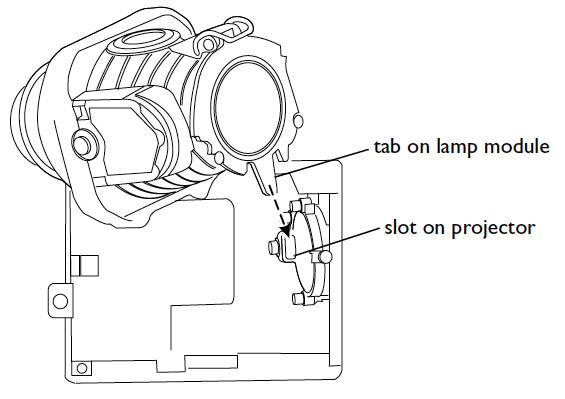 Grab the pull tab and pull it to release the catch on the ASK Proxima SP-LAMP-013 lamp module. Pinch the ASK Proxima SP-LAMP-013 lamp cable connector to release the catch while pulling on the connector. Carefully remove the ASK Proxima SP-LAMP-013 lamp module. 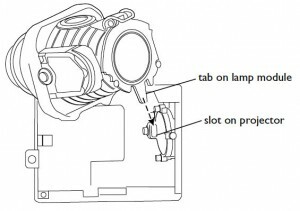 The lens also has a tab that connects into the slot in the bottom of the lamp cavity. 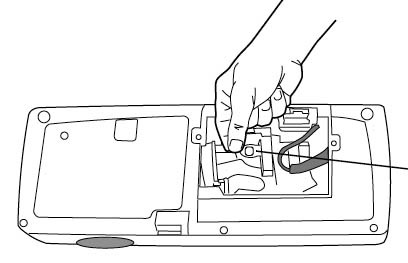 Pull upward with enough force to disconnect the tab from the slot. The ASK Proxima SP-LAMP-013 contains mercury and should not be thrown into regular garbage. Recycle this lamp. Take the new ASK Proxima SP-LAMP-013 lamp and slide it straight down over the cavity, aligning the tab with the slot. Press to connect the tab to the slot. Relatch the pull tab but pressing down on the lamp module until it clicks into place. Replug the ASK Proxima SP-LAMP-013 lamp cable. 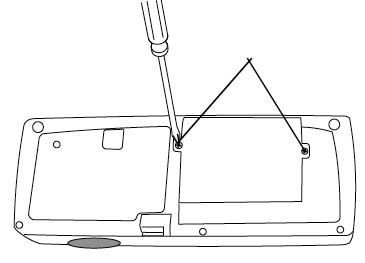 Align the connector on the back of the door with the projector. Replace the two screws on the lamp door. 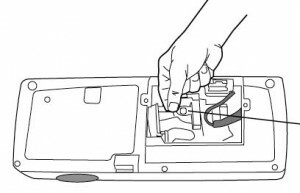 Plug in the power cable and press the power button to turn the projector back on. You are ready to reset the lamp hour timer. 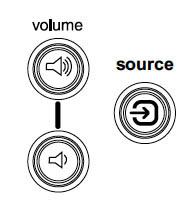 There are two way to reset the lamp hour timer. With the projector turned off, press the two Volume buttons on the projectors keypad simultaneously for 10 seconds. The LED will turn green and you can power on the projector. Turn on the ASK Proxima DP-1200X projector. Scroll down to the SETTING menu. Press SELECT. Scroll down to the SERVICE menu. Press SELECT. Scroll down to LAMP RESET. Press SELECT. The lamp hour will be reset to zero. Prolong the lamp life by selecting the Long Life Lamp Mode. This will also minimize fan noise.